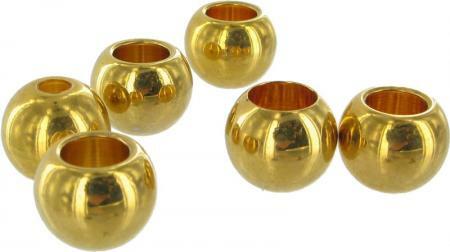 One Gold Effect Bead for Fine Leather Handbag Drawstrings. This gold effect metal bead is for fine leather strapping usually found on handbags with leather drawstrings such as those by Louis Vuitton. This bead will accept leather thonging of up to 4mm in diameter. Sold individually. This range of replacement parts is useful for practically minded people, who have a broken case or handbag they do not want to part with and who do not have a saddler or luggage repairer in their neighbourhood.